It appears some readers, not least a number overseas, are conscious that I have not had held a caption competition recently. Given all that has been happening recently, now may be the time for a little light relief. The picture is one that has already appeared on the blog and which a reader noted would make a good candidate for the competition. As usual, the winner will be the reader who comes up with a caption that I consider the wittiest and most appropriate in the context of the picture. The prize will be one of my publications. My history of the 1922 Committee, The Voice of the Backbenchers, has just been republished, so that will be on offer, if the winner does not already have a copy on their shelves. 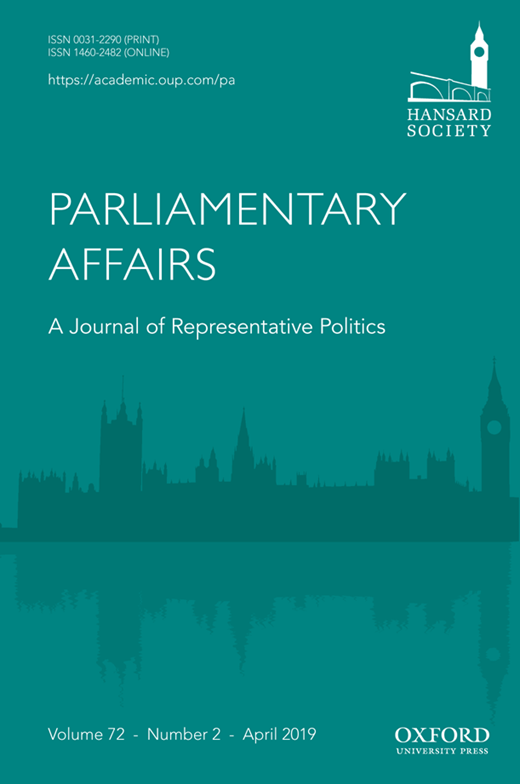 In an earlier post, I drew attention to my article in Parliamentary Affairs on the importance of informal space in legislatures – places where members gather informally (dining and tea rooms, division lobbies, corridors) and in which discussion between MPs can serve as means of socialisation, information exchange, lobbying, and mobilising political support. The article was published online last year and I am pleased to report has just appeared in print in the March issue of the journal. In terms of mobilising political support, the article draws out the extent to which the neglect of informal space contributed to the loss of the Conservative party leadership by both Edward Heath and Margaret Thatcher. Their loss of support clearly had major political consequences. The publication of the article is timely given current events. 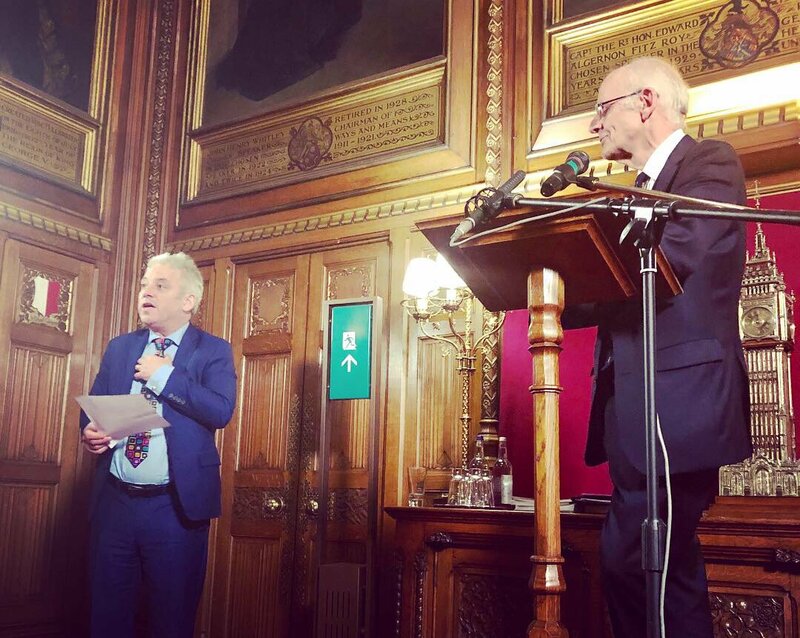 Developments in the House of Commons over Brexit can only partially be explained in terms of what goes on in public space, that is, the chamber and committee rooms. The cameras have focused on debates and votes in the Commons. However, what goes on in both private space – not least meetings of the 1922 Committee – and informal space is equally crucial for determining outcomes. Informal space is especially important inasmuch as it not publicly visible and, therefore, reportable. What is formally private space is not always that private. Meetings of the 1922 Committee are formally private, but in practice proceedings are quickly leaked to the press. Indeed, at the meeting on 27 March, when Theresa May said she would be willing to step down from the premiership, news of her announcement was being carried by the media before the meeting had even ended. The value of conversations in the tea rooms and corridors is that they are not usually seen or leaked to the press. They may be seen by whips and Parliamentary Private Secretaries, who hover for the purpose of seeing who is saying what and to who, but they form part of the deliberations within parties (and sometimes, as now, across them). What is discussed may lead to a change in behaviour by members. As the examples of Heath and Thatcher demonstrate, party leaders cannot afford to neglect informal space. Theresa May is not a natural when it comes to utilising such space, but at times like this, she and her allies may find it essential. When I spoke in the Second Reading debate on the EU Referendum Bill in 2015, I noted that peers were not so much focusing on the content of the Bill as rehearsing the arguments they proposed to deploy in the referendum campaign being sanctioned by the Bill. I sought to address the Bill from the perspective of the constitution. I also raised the case for considering a threshold requirement in the referendum. In the event, both front benches showed little interest. They were concerned principally with getting on to hold a referendum. When the Second Reading of the EU (Withdrawal)(No. 5) Bill was debated in the House yesterday (4 April), there was a similar tendency for peers to discuss the merits of Brexit – it was either a disaster for the UK or a wonderful opportunity – and ignore the provisions of the Bill. There were various exchanges about the sagacity or otherwise of the former Governor of the Bank of England, Lord King of Lothbury. It was not clear how this related to the purpose of the Bill. In my speech, I was concerned to address the constitutional novelty of the Bill, in that it represents an attempt to wrest control from government of policy. With the measure, Parliament is not reacting, but directing. The Bill of Rights 1689 established that the crown could no longer legislate, or suspend laws or raise taxation, without the assent of Parliament. Parliament did not assume responsibility for generating public policy, but looked to the Crown to do so. Parliament could say no, be it to legislation or taxation, but the onus for bringing forward measures continued, and continues, to rest with the executive. That underpins our constitution and it ensures accountability. Government is accountable to Parliament and, through parliamentary elections, to electors. “We are in danger in engaging in an exercise that, like referendums, is strictly speaking irresponsible. With referendums, there is no means by which electors can hold themselves responsible for the outcomes. Similarly, with policy determined by a transient majority of parliamentarians. There is no single coherent body that stands before the electors to be held responsible for the policy.” I argued that we need to raise our gaze beyond the immediacy of a toxic and confused debate and focus on the consequences for our constitutional arrangements. 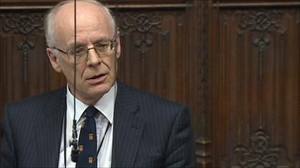 I was gratified that, in concluding the debate, Lord Rooker, who is taking the Bill through the House, said “One of the early speeches that made me think was the very sharp speech of the noble Lord, Lord Norton of Louth. There is a lesson for us all in what he said not just about this Bill but beyond it about changes. I was really taken with that..”. He was really the only one to engage with what I said. Others were too concerned to explain why they were right on Brexit and those taking a contrary view were wrong. In opening, I said that proponents on both sides of the Brexit debate “tend to lack not only balance, but also self-awareness.” The debate I fear rather reinforced my observation. I have seen various report claiming that the issue of European integration has been responsible for bringing down Conservative Prime Ministers from Edward Hea th onwards – and at least one also suggesting it brought down Harold Macmillan. 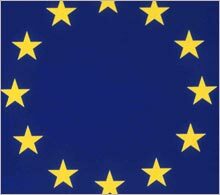 European integration has been a notably disruptive issue in British politics, indeed the faultline in British politics since the end of the Second World War, but to argue that it is the cause of the departure from No. 10 of Heath, Thatcher, Major, Cameron and May, not to mention Macmillan, is to overstate the case. Harold Macmillan’s ministry was plagued by problems by 1963. The veto of Britain’s application to join the EEC was a blow to the Prime Minister, but there were other domestic events, not least the Profumo scandal, undermining his premiership. He was widely portrayed as out of touch. What triggered his resignation was illness. He believed his medical condition was worse that was actually the case and subsequently regretted submitting his resignation. Heath was beset by problems by 1974, not least the reaction to his U-turns on the economy and industry, an energy crisis, and a major dispute with the National Union of Miners, leading him to call an early election in 1974 on the issue of ‘who governs?’ The loss of the election, followed by another in the October, set in train the pressure to resign and his being voted out of the leadership in 1975. Negotiating membership of the European Communities was held up as his crowning achievement. EC membership contributed to resentment on the part of Enoch Powell and like-minded MPs, but it was not the cause of Heath’s demise. Margaret Thatcher caused tensions over the UK’s membership of the EC, especially following her 1988 Bruges speech, and it was her stance on further European integration two years later that triggered Geoffrey Howe’s resignation as Leader of the House of Commons, an event that led Michael Heseltine to challenge for the leadership. However, what really did for her as leader was her stance on the poll tax. That was the issue causing widespread unrest, indeed rioting, in the country and one that many MPs realised was electorally toxic. With the PM refusing to budge on the issue, it was necessary to find a leader who would rid them of this electoral millstone. As I wrote in my analysis in Britain at the Polls 1992, ‘Conservative MPs knew only too well that as long as she remained leader, the poll tax was going to stay. Either both stayed or both went’. The government of John Major lost the 1997 general election in September 1992. ‘Black Wednesday’ saw Britain’s humiliating withdrawal from the exchange rate mechanism and triggered a collapse in public confidence in the party’s handling of the nation’s economy from which it never recovered. Conservative MPs were badly and very publicly split in 1997 over European integration. The in-fighting may have contributed to the sheer scale of the defeat – more Conservative MPs lost their seats than held on to them – but was not the cause of it. One is clearly on safer ground in arguing that the issue of European integration brought down David Cameron – a defeat of his own making, having committed himself to supporting an in/out referendum on the UK’s membership of the EU – as well as Theresa May. Her speech last Wednesday at the 1922 Committee, indicating she would not stand in the way of someone else being elected to take the government to the next stage of negotiation, was the result of the failure to mobilise a majority for her deal. However, given that she is still Prime Minister, the only leader to go so far because of divisions over European integration is David Cameron. 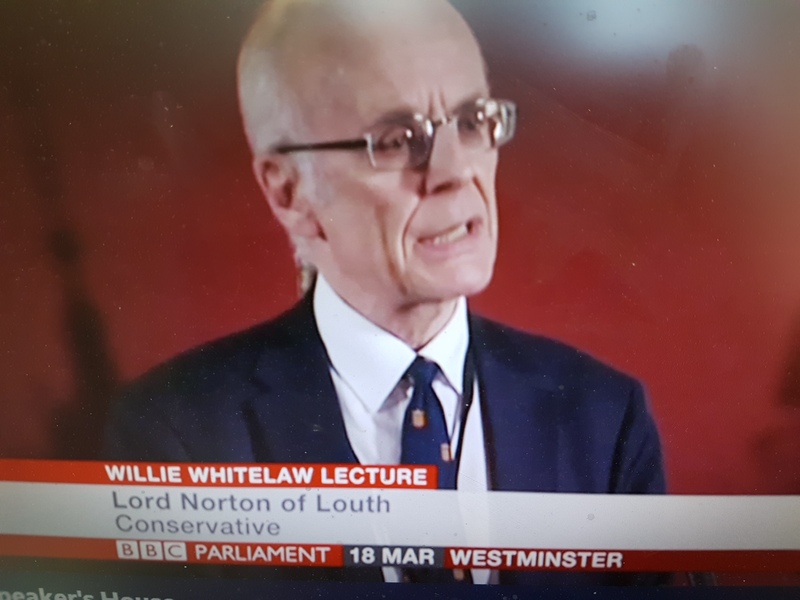 My Speaker’s Lecture, on ‘What if Edward Heath had resigned in October 1974 and Willie Whitelaw had become Tory leader?’, delivered in Speaker’s House on 18 March, was broadca st on BBC Parliament last night (30 March). If anyone who did not watch it (or, indeed, anyone who did) would like to see it, it is available online via BBC iPlayer here for the next four weeks. The broadcast covers the whole lecture, but not the question and answer session that followed. 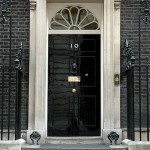 The media have been awash with stories of attempts to oust the Prime Minister and replace her with an interim Prime Minister. There has been little comment on the constitutional propriety of such a move. Little literature exists on the constitutional position in the event of the Prime Minister dying or the post suddenly becoming vacant. I published an article on the subject in Public Law, 2016, pp. 18-34, and the following summarises what I wrote. A Prime Minister remains in office until they tender their resignation. The expectation, as outlined in the Cabinet Manual, is that a premier, having announced that they will resign, stays in office until their successor is chosen. Given that leaders are elected nowadays by the party membership, that can take several weeks, running into months. If there is a sudden vacancy, with no PM in place to hold the fort until a successor is elected, what happens? There are two principal questions. Can one have an interim Prime Minister? And, if so, how is the choice to be made? The selection of the Prime Minister is the only prerogative power remaining where the Queen does not act formally on advice. (Until 2011, the other was the power to dissolve Parliament.) There has thus been considerable sensitivity about having a Deputy Prime Minister, with that being deemed to be a title rather than a post. It does not confer on the holder any right in respect of succeeding to the premiership, any more than is the case with any member of the Cabinet. There is no precedent for having an interim Prime Minister, but no bar on one either. It is something that has been considered by Cabinet Secretaries on occasion, for example and most notably in the light of the 1984 Brighton bombing. What would have happened had the PM been killed? Thought was given to having someone being invited to lead the Government – to chair Cabinet and advise the Queen – while a new leader was chosen by the party. How, though, to keep the Queen out of political controversy? What if she asked someone to be interim Prime Minister who would themselves be a possible candidate in the leadership election? Should it be someone who was not an obvious candidate for the leadership? In 1984, for example, Willie Whitelaw was considered an obvious candidate – senior in status and age, as well as in the Lords. It was agreed that in those circumstances it would be appropriate to invite a respected figure in the Conservative Party, who could not possibly be considered as a candidate for election as party leader, to assume the role until the election was completed. At that time, the Lord Chancellor was considered someone who might fit the bill. That is no longer such a clear option, given the holder may be an MP who is a possible leadership candidate and not a senior peer. An alternative may be the Leader of the House of Lords, though technically the holder of that office could do the equivalent now of a Lord Home and resign from the Lords, courtesy of the 2014 House of Lords Reform Act, and seek a House of Commons seat. The challenge therefore would be finding someone who was not a possible contender. Who would come up with the name? One possibility would be for advice to be taken via the Queen’s Private Secretary. Leading figures in the party would be consulted. The other would be for the Cabinet to put forward a name. That would seem the least problematic route. (Formally, if it was a Labour temporary PM, it would be for the Cabinet in consultation with the NEC.) The relevant point here, given the changes to the office of Lord Chancellor, is that it would be a case of identifying the person who fitted the description at the time rather than designating the holder of a specified post. Identifying such a person, as some speculation over recent days has shown, may prove problematic. In the lecture, I addressed four questions. First, how plausible is it that Willie Whitelaw would have succeeded to the party leadership had Heath stood down in October 1974? Second, if Whitelaw had become leader, what philosophy, or what strand of Conservative thought, would he have embraced? Third, how effective would he have been in leading the party? Fourth, flowing from this, would he have been in a position to lead the party to election victory? I also went on to consider what may have happened under a Whitelaw government. This was the fourth Speaker’s Lecture I have given, since the lectures were introduced. As regular readers will know my previous lectures were on Enoch Powell, Parliament and Political Parties, and Eleanor Rathbone. As the Speaker regularly points out, and did so again on Monday, I have turned up for every Speaker’s Lecture since they were introduced in January 2011, the only person to do so. Even the Speaker has missed some, with me having to chair them in his absence.